This pattern has been updated as of 6/15/16. I adjusted the needles needed, added a variety of yarns you can use, and added a ribbing section at the beginning of the hat. 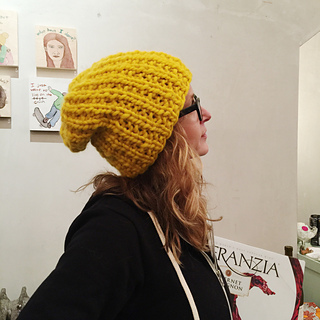 The Franzia Hat is perfect for working up at a knit night, when you want to spend your time focused on friends and wine, rather than a complicated stitch pattern. 0-6m (6-12m, 1-2 yrs, 3-5 yrs, 6-10 yrs, teen/adult) = 15 (16, 17, 18, 19, 21)” circumference, un-stretched.